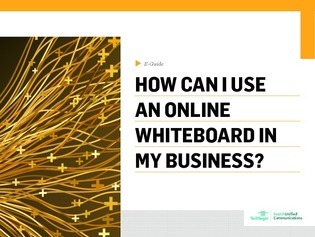 What is an online whiteboard, and how can you use an online whiteboard in your business? We asked UC expert Jon Arnold these exact questions to learn why this trend is taking UC by storm. In this e-guide, Arnold explains why whiteboard collaboration is absolutely vital to virtual meetings today.